" Alfred Heikki's son Torppa, here in Kaustinen has castrated my colts during several years and all have recovered well. Also other diseases in both my horses and my cattle were cured through his medicine and good care to which I now attest. 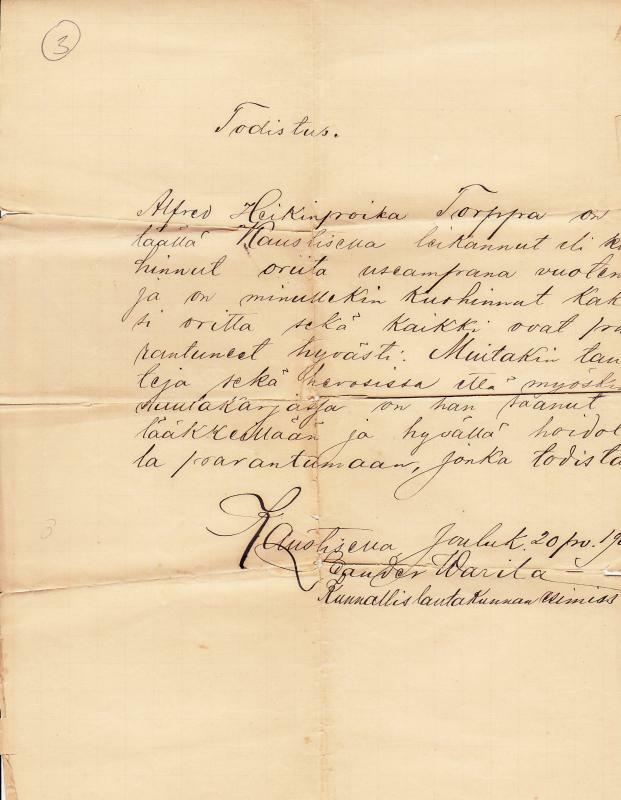 Kaustinen, December 20, 1904 ___? Warila in the name of the community board. " paper, 8 x 8 in. 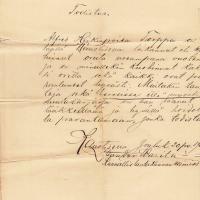 Translation by Roy Helander, “Letter of Recommendation for Alfred Torppa,” Maynard Historical Society Archives, accessed April 24, 2019, http://collection.maynardhistory.org/items/show/6097.